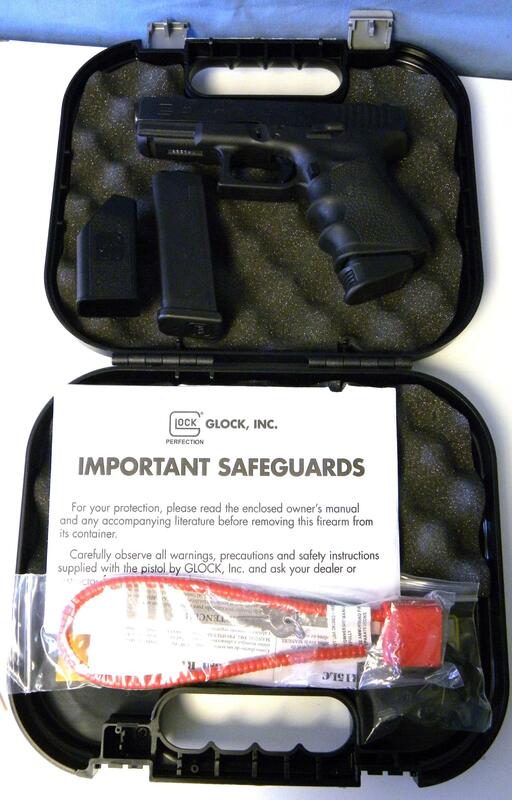 Description: This is a Gen 3 Glock 23 chambered for .40 S&W. This pistol has been customized with a 3 lb. trigger pull, extended slide release, Hogue rubber grips, and a Pearce magazine grip extension. The pistol comes with two 13 round magazines and the original manuals, lock, and cleaning rod. If you wish to place the pistol in original condition all of the original parts are included as well. The 4” barrel is shiny with sharp rifling.